The Fourteenth Amendment prohibits states from infringing free speech, but the defendant was properly convicted under New York's Criminal Anarchy Law because he disseminated newspapers that advocated the violent overthrow of the government. Gitlow v. New York, 268 U.S. 652 (1925), was a decision by the Supreme Court of the United States holding that the Fourteenth Amendment to the United States Constitution had extended the reach of certain limitations on federal government authority set forth in the First Amendment—specifically the provisions protecting freedom of speech and freedom of the press—to the governments of the individual states. It was one of a series of Supreme Court cases that defined the scope of the First Amendment's protection of free speech and established the standard to which a state or the federal government would be held when it criminalized speech or writing. Following the Red Scare of 1919–20, a variety of leftists, either anarchists, sympathizers with the Bolshevik Revolution, labor activists, or members of a communist or socialist party, were convicted for violating the Espionage Act of 1917 and Sedition Act of 1918 on the basis of their writings or statements. Benjamin Gitlow, a member of the Socialist Party of America, who had served in the New York State Assembly, was charged with criminal anarchy under New York's Criminal Anarchy Law of 1902 for publishing in July 1919 a document called "Left Wing Manifesto" in The Revolutionary Age, a newspaper for which he served as business manager. His trial lasted from January 22 to February 5, 1920. His defense contended that the Manifesto represented historical analysis rather than advocacy. He was convicted on February 11 and sentenced to 5 to 10 years in prison. He served more than two years at Sing Sing prison before his motion to appeal was granted and he was released on bail. State courts of appeal upheld his conviction. New York's Criminal Anarchy Law was passed in 1902 following the assassination of President William McKinley by an anarchist in Buffalo, New York, in September 1901. Gitlow was the first major First Amendment case that the American Civil Liberties Union argued before the Supreme Court. The Court had to consider whether it could review a challenge to a state law on the basis that it violated the federal constitution. If it determined that such a challenge lay within the scope of its authority, then it had to review the application of the law to the case at hand, the specific violation of the statute. It upheld Gitlow's conviction 7–2, with Brandeis and Holmes dissenting. 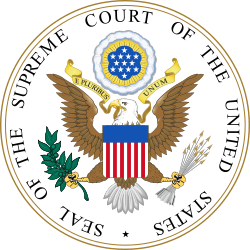 The Supreme Court previously held, in Barron v. Baltimore, 32 U.S. 243 (1833), that the Constitution's Bill of Rights applied only to the federal government, that states were free to enforce statutes that restricted the rights enumerated in the Bill of Rights, and that the federal courts could not interfere with the enforcement of such statutes. Gitlow v. New York partly reversed that precedent and began a trend toward its nearly complete reversal. The Supreme Court now holds that almost every provision of the Bill of Rights applies to both the federal government and the states. The Supreme Court relied on the "due process clause" of the Fourteenth Amendment, which prohibits a state from depriving "any person of life, liberty, or property, without due process of law." The Court stated that "For present purposes we may and do assume that" the rights of freedom of speech and freedom of the press were "among the fundamental personal rights and 'liberties' protected by the due process clause of the Fourteenth Amendment from impairment by the states". The Court used the doctrine first enunciated in Gitlow in other cases, such as De Jonge v. Oregon, 299 U.S. 353 (1937), Wolf v. Colorado, 338 U.S. 25 (1949), and Gideon v. Wainwright, 372 U.S. 335 (1963), to extend the reach of the Bill of Rights. Constitutional scholars refer to this as the "incorporation doctrine," meaning that the Supreme Court has identified rights specified in the Bill of Rights and incorporated them into the liberties covered by the due process clause of the Fourteenth Amendment. Recently, the Supreme Court, see, McDonald vs. City of Chicago (2010), found the 2nd Amendment Right to "...keep and bear arms," for lawful purposes such as self-defense both a fundamental and individual right of all law-abiding Citizens over 21 years of age and of sound mind as self-defense is the "central component" of the 2nd Amendment, and these Rights are "fully applicable" in all of the 50 States. The Court upheld Gitlow's conviction on the basis that the government may suppress or punish speech that directly advocates the unlawful overthrow of the government and it upheld the constitutionality of the state statute at issue, which made it a crime to advocate the duty, need, or appropriateness of overthrowing government by force or violence. Justice Edward Terry Sanford's majority opinion attempted to define more clearly the "clear and present danger" test developed a few years earlier in Schenck v. United States, 249 U.S. 47 (1919). He embraced "the bad tendency test" found in Shaffer v. United States, 255 F. 886 (1919), which held that a "State may punish utterances endangering the foundations of government and threatening its overthrow by unlawful means" because such speech clearly "present[s] a sufficient danger to the public peace and to the security of the State." According to Sanford, a "single revolutionary spark may kindle a fire that, smoldering for a time, may burst into a sweeping and destructive conflagration." He said the Manifesto contained "the language of direct incitement" and was not "the expression of philosophical abstraction." In his dissent, Holmes, the author of Schenck's clear and present danger test, wrote that he believed it was still the appropriate test to employ in judging the limits of freedom of expression. Joined by Brandeis, he argued that Gitlow presented no present danger because only a small minority of people shared the views presented in the manifesto and because it directed an uprising at some "indefinite time in the future." He responded to Sanford's kindling metaphor that "eloquence may set fire to reason, but, whatever may be thought of the redundant discourse before us, it had no chance of starting a present conflagration." On November 9, 1925, Gitlow surrendered to the government for transportation back to Sing Sing Prison to finish his sentence. On December 11, 1925, New York Gov. Al Smith pardoned him, saying that while Gitlow had been "properly and legally convicted", he needed to consider "whether or not he has been sufficiently punished for a political crime." He concluded that "no additional punishment would act as a deterrent to those who would preach an erroneous doctrine of Government." ↑ Whipple, Leon (1927). The Story of Civil Liberty in the United States. New York: Vanguard Press. p. 307. ↑ "The Successes of the American Civil Liberties Union". ACLU. 17 June 2012. 1 2 3 "Gitlow Loses Fight in Highest Court to Annul Anarchy Law". New York Times. 9 June 1925. ↑ "Gitlow is Pardoned by Governor Smith as Punished Enough". New York Times. 12 December 1925. Heberle, Klaus H. (May 1972). "From Gitlow to Near: Judicial "Amendment" by Absent-Minded Incrementalism". Journal of Politics. 34 (2): 458–483. JSTOR 2129363.